For those of you with fond memories of fast-paced sports arcade games like Windjammers from the good old days, it will come as great news to hear that newly-formed UK based Chequered Cow Games is bringing the magic back with Power Disc Slam, set to arrive on the 3DS eShop early next year. This modern take on the venerable Neo Geo classic, and will boast full stereoscopic support at 60FPS, a multitude of single-player modes, 4 difficulty settings, 6 minigames with 8 levels apiece, local and online multiplayer, StreetPass and online rankings. For an unknown studio, it all sounds like a massive undertaking, but Chequered Cow founder David McEwen is hardly wet behind the ears - he started his career at UK firm Argonaut, best known for collaborating with Nintendo on the seminal Star Fox, and has been quite a few places since, too. "Games are a huge passion of mine and I've been immensely lucky worked at quite a few incredible companies," McEwen tells us. "I started way back at Argonaut, where I worked on various titles from PS1 to Xbox. After it sadly went under I went to EA and learnt what a large company was like and got my first taste of handheld development, working on a PSP version of a Harry Potter title, amongst other things. I spent some time working for a small startup and we created some DS titles (Big Word Puzzle Book, Pop+) before going to Supermassive." A Sony-focused studio in the UK, Supermassive has made headlines recently thanks to the excellent horror title Until Dawn on PS4. "They were pretty small when I joined," says McEwen. "It was two teams working on different PS Move titles. I was on Tumble working on the physics and controls. It was a huge amount of fun and really creative project. I spent some time on the Vita after that and getting a PS3 game running on Unreal Engine 3 over to it was a huge undertaking. After that I went to King, which was just starting its London studio at the time. It was my first taste of modern mobile development and it was an interesting place to work and watch grow so rapidly. It's a very different style of game and development to what I'm used to. There are loads of great people there, but it showed me the direction I wanted to take and again highlighted that I much prefer working in small teams. So I ended up starting up on my own and Chequered Cow Games was born." 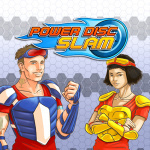 Given that the 3DS is arguably coming to the end of its lifespan, some might find it strange that McEwen has selected it as his target platform for Power Disc Slam. However, he's confident that the console is more than equal to the task. "I've got huge fondness for working within limitations and with unusual hardware so the 3DS suits me down to a tee," he says. "Game development for the most part has been pretty smooth using custom tech alongside some useful Nintendo provided libraries and tools. All the contractors I worked with for art and sound have been brilliant and a joy to work with, and it's been fun trying to make the most of them all within the technical constraints. 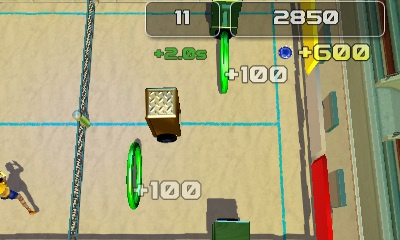 Most of the challenge has been creating a rounded game experience for single player as well as providing a solid multiplayer game. As the sole programmer the latter is quite a task! I've had fun learning more about the hardware as I've gone on and push a bit further each time I add in another gameplay or visual feature." 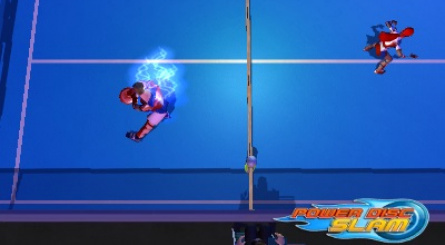 McEwen makes no attempt to disguise the fact that Power Disc Slam is very much a spiritual successor to Windjammers, a game which is very near to his heart. 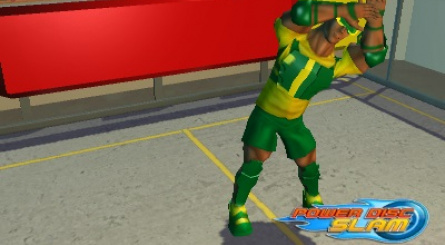 "Windjammers, which obviously inspired the game, is a title I really love," he reveals. "Its deceptively simple nature combined with the joys of Neo Geo-era art just makes a great experience. It's a style of game I've always wanted to work on, but not had the chance in my career. 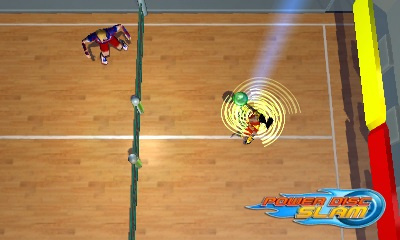 After looking at the range of titles available on the 3DS there is a definitely lack of arcade-style sports titles. There are some notable examples, but I think Power Disc Slam stands up well with its fun gameplay combined with range of features. There aren't many eShop titles that offer local and online multiplayer, StreetPass interaction and online rankings. All that at 60FPS in both 2D and stereoscopic 3D with a variety of single player modes. I'd love to add more, but I think there's more than enough to enjoy. 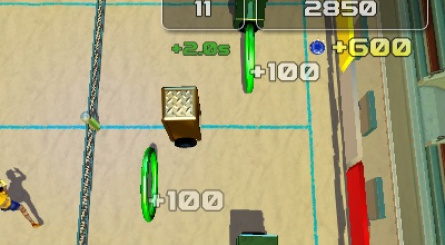 If it does well enough there is always the chance of adding more minigames, characters and game modes." You can see how the game is shaping up in the exclusive trailer below. 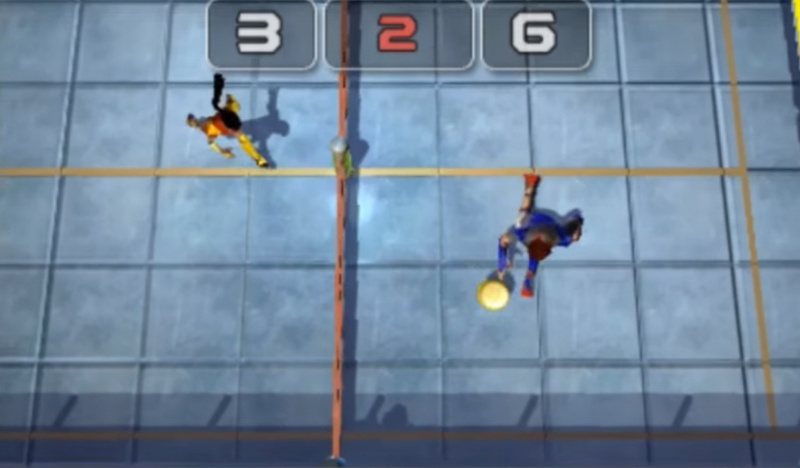 Are you looking forward to playing this modern take on Windjammers in the New Year? Let your frisbee fly in the comments section below. I desperately want this to be good. Neo Geo titles that is. When I read this "the joys of Neo Geo-era art" I expect it to look like NeoGeo-era art, not a low-rent 3D affair. Windjammers was amazing. I remember it in the arcade where I grew up. I wish it would be released on the eshop. This looks awful so far. It lacks the vibrancy, speed and sound of the original. Looks like a fun game if they could polish it a bit could be a good game. Gameplay looks solid. The song used in the trailer was great, too (having a Wave Race 64/Wii Sports feel). Now, if they want the average consumer to buy it, all they need to do is touch up the models, textures, and presentation. 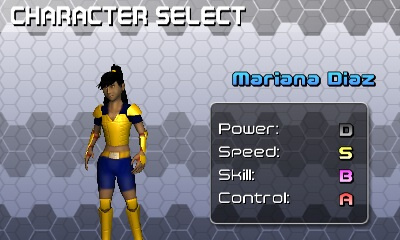 Because white people remaking Japanese games always turns out so well. It does look a little slow and boring to me. I'd like to be proven wrong though. Not sure how I feel about the pseudo-3D presentation. I'll keep an eye on it. Always great to hear feedback! 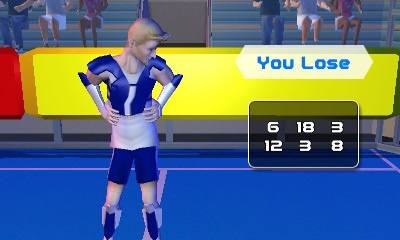 The visual aesthetic is aiming at more of Sega 3d sports titles rather than that of a Neo Geo title. Unfortunately 3d 3ds visuals tend to look worse in videos and screenshots than actually on device especially when combined with compression. 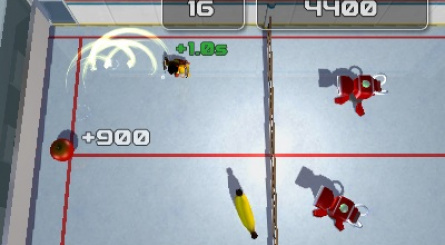 Pace of play is obviously really important.- the gameplay was captured at lower difficulty for ease. 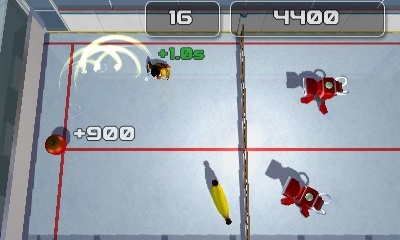 It definitely gets more frenetic at higher difficulties and in multiplayer. I'll continue to tweak 'til I'm happy with it. Its definitely not a game with a big budget, but a lot of love and care has gone into and I'm just one guy. I hope you guys enjoy it when it comes out and always happy to hear more thoughts. Hopefully this isn't the finished product. Looked rather stiff and the animations looked pedestrian. Looking forward to the final product. Windjammers was the one surprise Neo Geo game that I loved, aside from the tried and true Puzzle Bobble and Metal Slug games, so a spiritual sequel sounds like an excellent idea. The video makes it look pretty bad graphically, but it's early development and ripped up by youtube compression so I still have some pretty high hopes for this. I guess in the end the price will determine which side of the fence I lean toward once it's finished. Along with me mirroring the complaints in the comments, The camera needs to show the whole court, son. 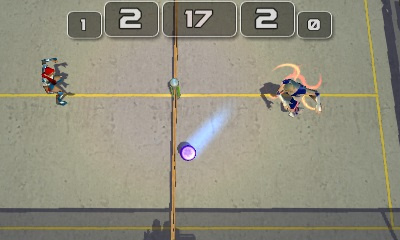 Have multiple camera options like spectator, dynamic, classic, etc, with the zooming in and out option. 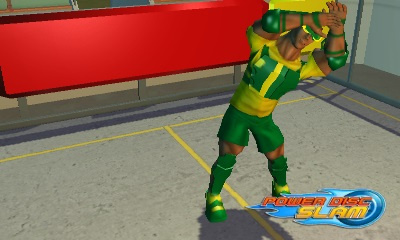 The game needs WAY more work before shipping because I love windjammers. I'm taking all your comments on board. I'll show some more in the new year and hopefully assuage your concerns about speed, polish etc. Oh and different animations for the characters when they walk in and add special effects for some special shots (nvm it looks like you are to a degree) and when you score and also make the sound effects get more punch (more energy and loudness to it, check some arcade games like you know what I'm talking about) And maybe get more animations for the crowds. And add volume sliders for music, sounds, players voices, crowds, and announcer voices. 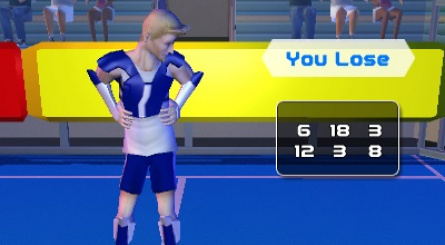 Oh and add a voiceover announceing when you score, announcing the sets, who wins, etc. And if possible add in big disc mode? @chequeredcow Oh and thanks for taking the concerns and critisms, its been appreciated. 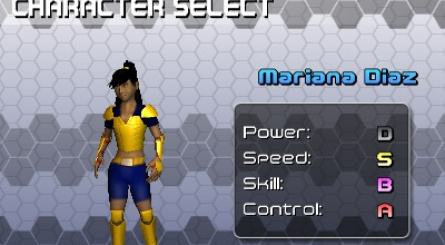 Oh and the player voice overs, have some fun with em and call out special moves (like wind crash! 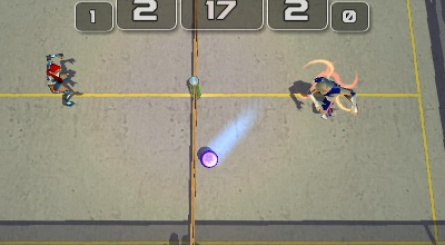 or fire blast!, etc) win and lose quotes, and make them over the top or cheezy or your spin. Just make em good. I looks way too slow and embarassly ugly. Windjammers is one of the most incredible two player games in the history of ever: this game has to be good, or the backlash will be devastating.